This is a simple and healthy alternative to traditional ice cream. It is very quick and easy to prepare this refreshing and healthy snack which is perfect for hot summer days. Blend strawberries and honey together. In a small bowl pour the yoghurt and add a tablespoon of the strawberry puree and another tablespoon of honey. 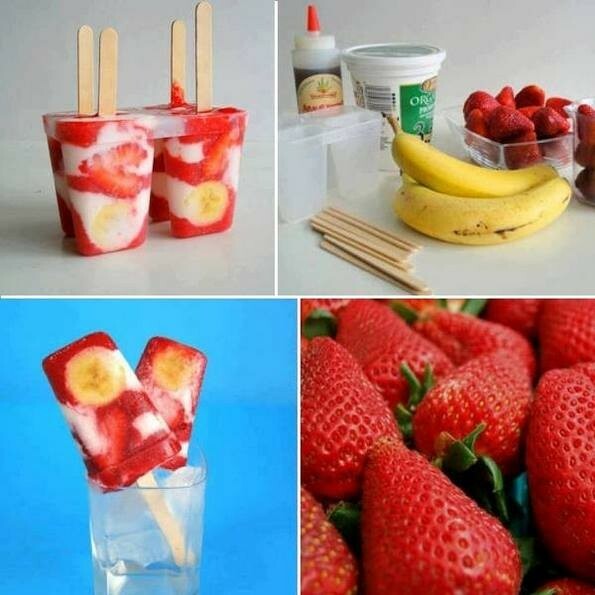 Fill the plastic glasses with the yoghurt and strawberry mixture, and alternately add strawberry and banana pieces. Put a wooden stick in the middle of each glass and keep the glasses in a freezer for 4 hours. Keep the glasses shortly in a container filled with hot water in order to separate the ice cream from the plastic glasses.